UPDATE: As of May 10, 2018, this update is available for the PlayStation 4 and Xbox One versions of the game. Now before you go getting too excited, this new mode is wave-based/survival in nature. What sets "Sanctuary Onsalught" apart from the "Defense" or "Survival" missions is the way you progress to the next wave. First off, there's a timer that counts down until a portal will appear that then takes you to the next round/wave. So, you'll have to survive against an onslaught of enemies for that length of time. However, the second mechanic dictates whether or not a portal appears at all. Right below that countdown timer, there's a "Void Stability" meter that depletes over time. If it reaches 0, your run is over. To keep that meter from depleting and to fill it back up, you'll have to kill enough enemies and find some random pick-ups that are scattered about each area. The further you progress, the harder things get, but the better your rewards will be as well. 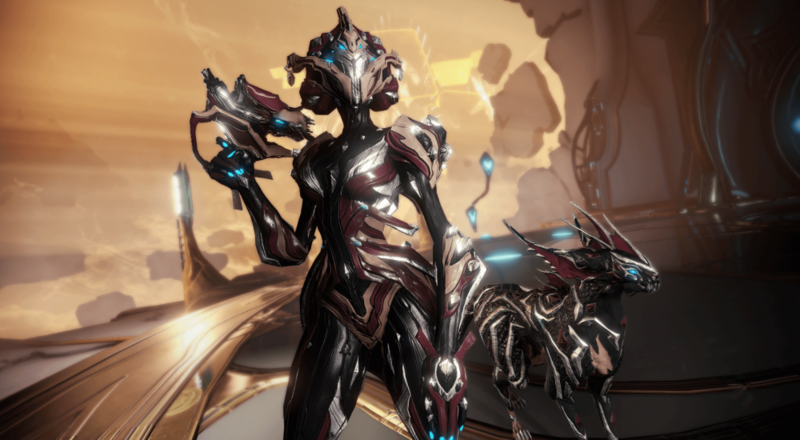 If you want to get the new Khora Warframe, then you'll have to run this mode a few times in order to get all the necessary blueprints. There are also some "peculiar" mods that you can acquire from this mode that will do some... interesting things, like causing flowers to grow on corpses. These are strictly intended to be fun things for players to play around with for no reason other than to have wacky fun. The "Beasts of the Sanctuary" update is available now for the PC version of Warframe, and will arrive next month for the PlayStation 4 and Xbox One versions. Page created in 0.3513 seconds.